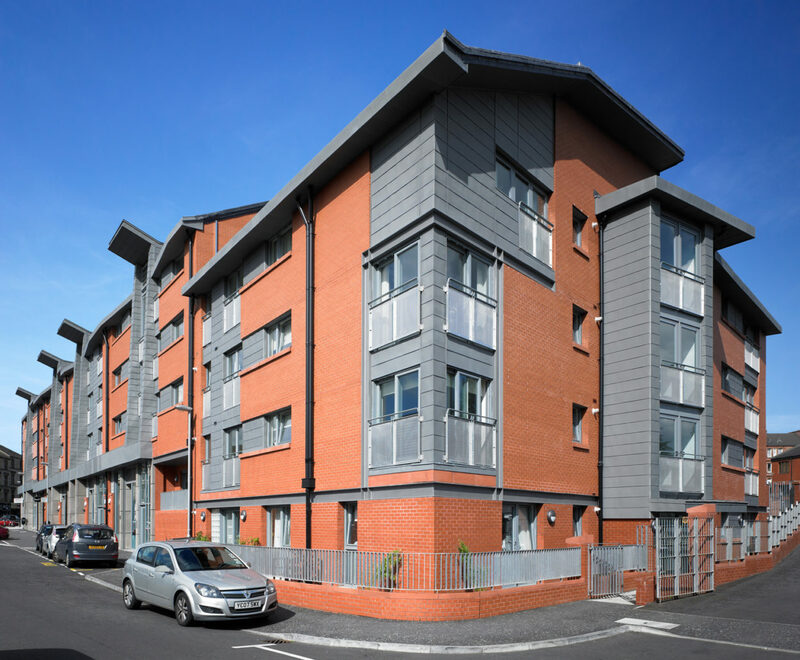 The project consists of 79 flats both for sale, rent and special needs, shops and offices, doctors’ surgery, workspace, bingo hall and licensed premises. The facades to the urban block bounded by Benalder Street, Dumbarton Road and Keith Street were identified by the Glasgow Development Agency as possibly the most decayed section of Dumbarton Road. 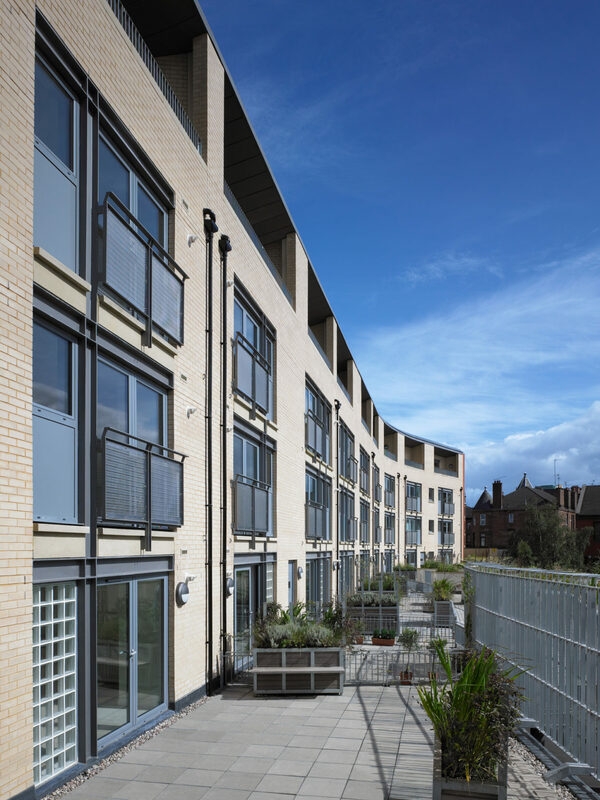 Partick Housing Association viewed the site as an exciting opportunity to re-develop the block as a whole, creating a dynamic development in the heart of Partick with close proximity to the Byres Road corridor. 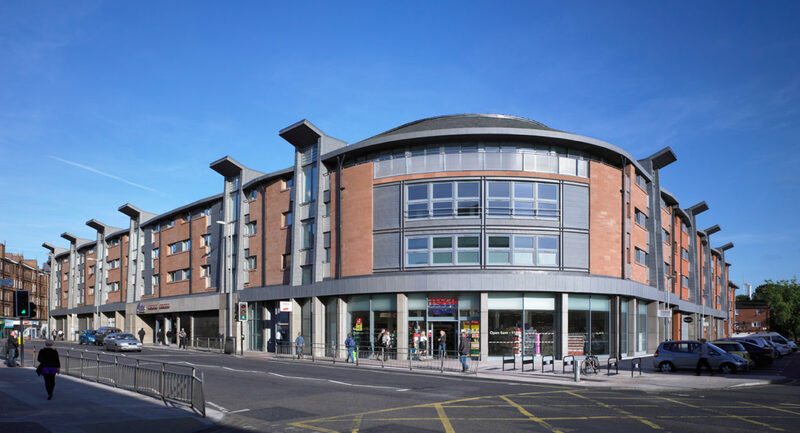 It was important to restore the urban fabric of the block to the same scale and design as the surroundings, so with this in mind Dumbarton Road and Keith Street has been regarded as one continuous facade. The surrounding area also benefits from an injection of money provided by a percentage of the sale of all flatted properties going towards local improvements. 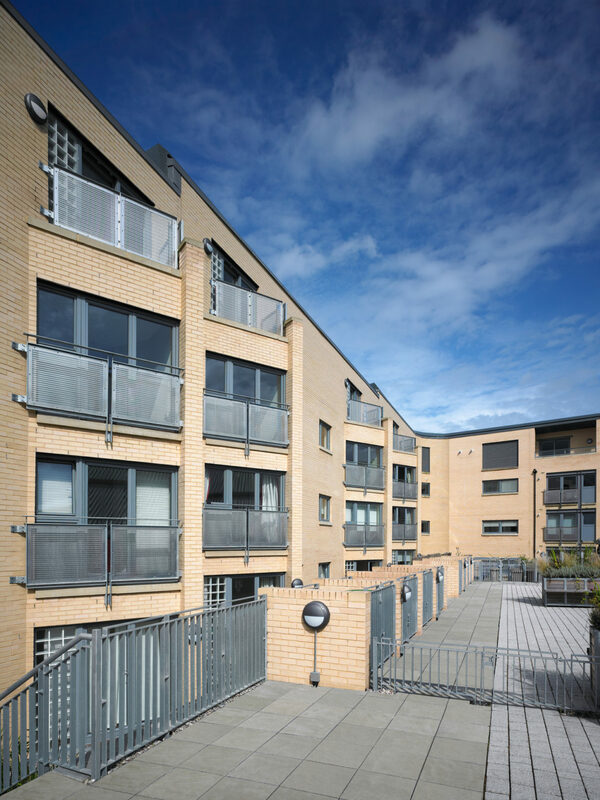 The redevelopment mimics the scale and form of a traditional four storey tenement but has been carefully modelled to maximise solar gain to the flatted accommodation at the rear (south facing) facade. At the same time this reduces overshadowing across Dumbarton Road. The close entrances have been brought to the front to allow the south facing rear facade to be opened up and to create a thermal and acoustic buffer. All of the residential accommodation enjoys back court amenity space to the rear. The back courts are raised above the shops and offices which further benefits solar gain and privacy. This creates a significant new urban block in an area previously occupied by a desperate mix of inappropriately scaled buildings. It has returned scale and grandeur to Dumbarton Road, adjacent to one of the most prominent intersections in the West End of Glasgow.